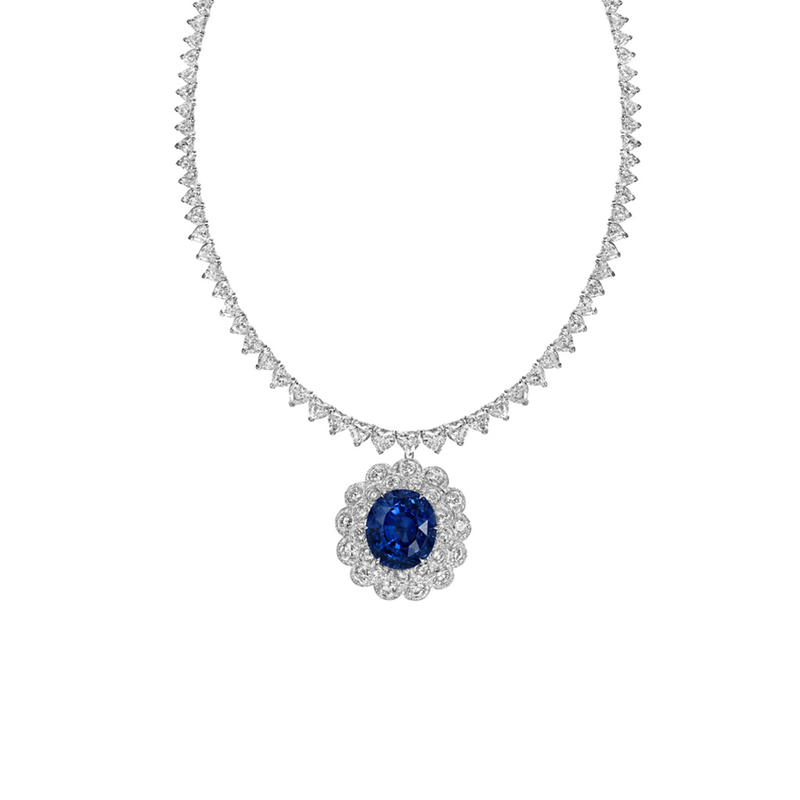 This masterpiece, a beautiful, natural, unheated blue sapphire intricately nested in between round brilliant diamond. It hangs delicately from a string of gorgeous Heart Shape diamonds. Truly a work of art.